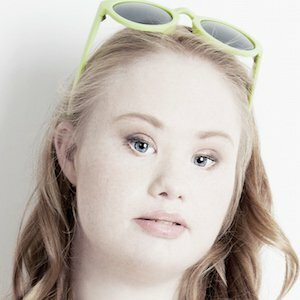 Madeline Stuart is a 20-year-old model from Brisbane, Australia most notably dubbed by the press as “the world’s most famous super model with Down syndrome”. This incredibly courageous, beautiful, and talented young woman has had astonishing success in the short time she has been modelling, and has captured media attention internationally. With three simple words – “Mum, me model” – Madeline changed not only her own life but the lives of so many people with big dreams who didn’t fit the mold. It was late 2014 when Rosanne, Madeline’s mum, took her to a fashion parade where Madeline’s passion was born. With a wilful spirit and defined goal, Madeline continued on her fitness regime to address her weight, a struggle for most people with Downs syndrome. Inspired and undoubtedly proud, Rosanne photo-documented her daughters journey. “It will take a lot of work and dedication but if you want to commit to this journey, I’m with you,” Rosanne told Madeline. After losing 20kg, a massive amount for anyone, Rosanne posted before and after shots of Madeline online not only to show the dramatic results but also to encourage others. She knew Madeline’s story would resonate with people around the world. She wasn’t wrong. Almost overnight, the post went viral. Madeline’s social media numbers grew, the photo was viewed over 6.8 million times and she began to hit global headlines with publications in Iceland, Germany, the US, Australia, Mexico, Cuba and the UK picking up her story. Modelling offers followed soon after from big fashion labels and non-profits and it wasn’t long before she received her first offer to grace the runway in New York. Since then, Madeline hasn’t looked back. 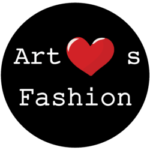 Madeline has modelled in countless fashion shows including New York Fashion Week, Runway Dubia, Caspian Fashion Week Russia and Mercedes Benz Fashion Week China. She has been featured in prominent, international publications including Vogue, New York Times, Forbes and Ella also endorsing products including JBronze by Jennifer Hawkins, Weetbix, VP Wow and Flat Tummy Tea. It is also important to Madeline to support those that support others. As such she supports a number of charities and non-profits including Multi Cap Foundation, Endeavour Foundation Australia, Silver Linings Project, Vets Intl, The DisABILITY Museum, The Carol Galvin Foundation, Kulture City, FUB Sweden, ‘ Inside Outside Dance Ensemble, Buddy Walk NYC and the Special Olympics of New York. In 2015 Madeline was awarded the prestigious Model of the Year Award at international fashion show Melange in San Francisco, nominated for Pride of Australia and Young Australian of the Year Award for 2015 and 2016 and named model of the year for 2016 by World Fashion Media. All of this while managing her Brisbane dance school ‘Inside, Outside Dance Ensemble’, participating in Special Olympic Games and launching her 21 Reasons Why by Madeline Stuart fashion label, a fashionably casual chic RTW line. For the last 8 months her journey has also been captured by B-Reel Productions for a documentary to be released in 2018. Not bad for someone only 2 years into building what has become an enviable career. Madeline has a great sense of humour and a contagious smile. Not content with simply making a career, she continues a hectic touring schedule spreading the important messages of diversity, inclusion and acceptance. She exudes confidence and her warm and friendly nature endears her to even the hardest of crowds. She shares her story with the hopes of inspiring, encouraging and educating others, proudly changing society’s perception of people with disabilities one photo shoot at a time.